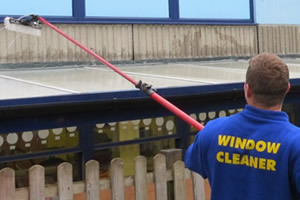 We clean the windows of many shops, care homes, schools, offices & other commercial buildings throughout Essex and Suffolk. Our team of expert window cleaners use the Reach and Wash system. With this method we employ a brush attached to a telescopic pole fed with 100% purified water pumped directly from our van to the brush head. No harmful chemicals are required, effectively eliminating the environmental impact of our cleaning methods. Our cleaning staff are highly trained and we are fully insured, so rest assured you are in safe hands. 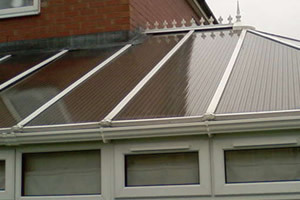 In addition to our window cleaning services, we also provide gutter cleaning and maintenance, cladding cleaning, full conservatory valets and pressure washing. Our range of clientele includes residential properties, commercial offices, shops, schools and much more. We know that you will be completely satisfied with the services we offer. So contact us today for a free no obligation quotation, we look forward to hearing from you. Wash Windows Ltd was established in 2005 as a small residential window cleaning round. Since then the business has expanded to a customer base of over 1500 regular clients ranging from modest houses to big commercial contracts throughout Suffolk and Essex. As a company we ensure the highest level of health and safety in line with current regulations and use the latest professional cleaning equipment. We ensure that our clients get the highest quality service at the best possible prices at all times. Copyright Wash Windows ©2015. All Rights Reserved.